How has your day been? 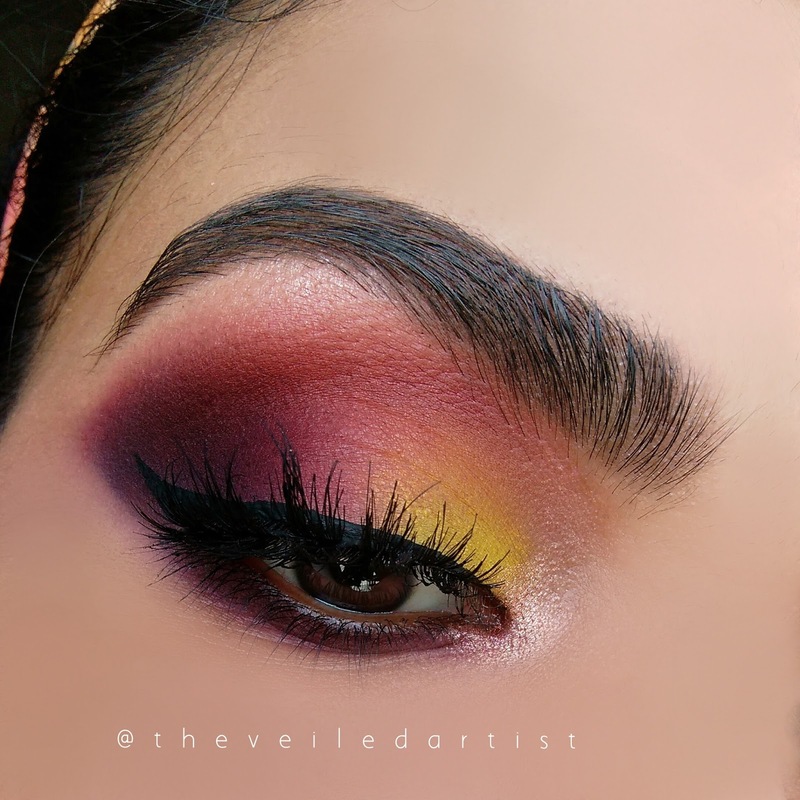 I've been seeing so many people on social media and youtube rocking a deep grungy burgundy smokey eye look and I have been wearing it quite often in my everyday life too! But I felt like today I wanted to recreate this super popular look with a slight touch of something! Maybe a blinding pop of yellow haha! So let's get started! Ooh! One more thing! 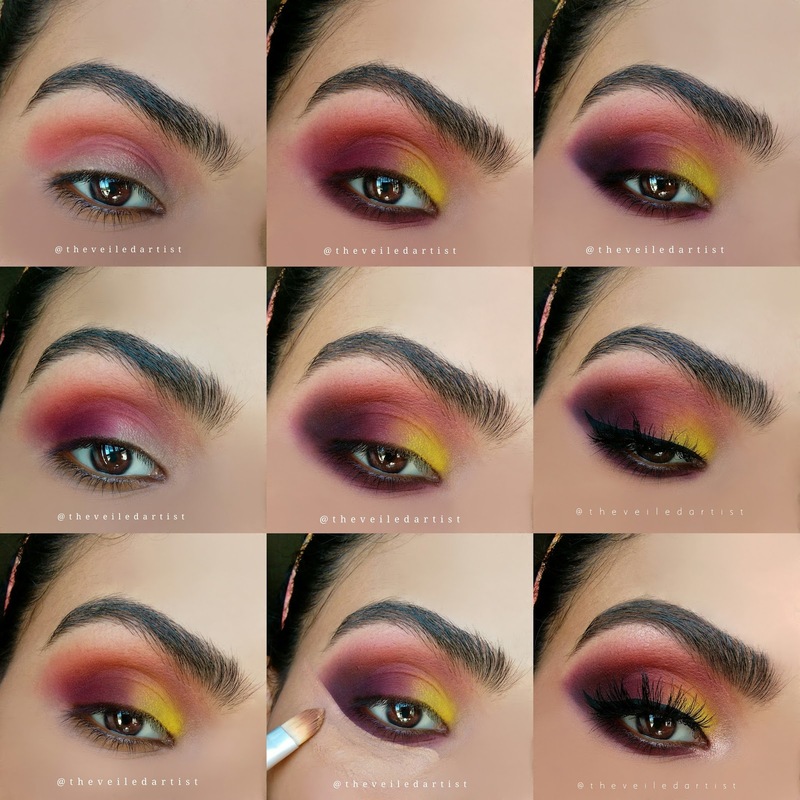 I recommend you do this eyeshadow look before you do your face makeup, because we're playing with some dark shadows and it's easier to clean any eyeshadow fallout that way. 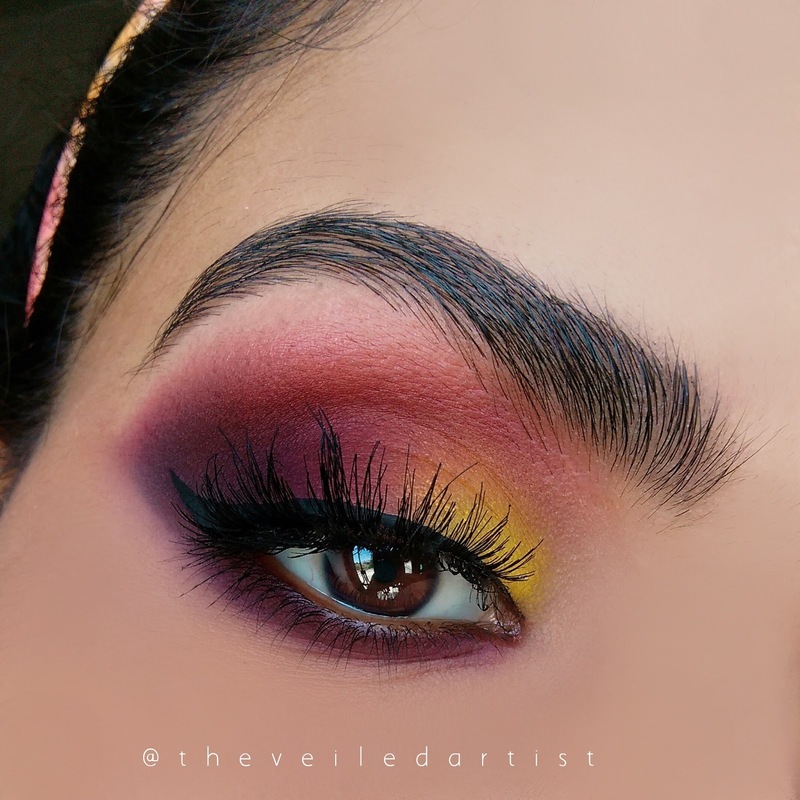 After priming your eyelids, blend the warm matte brown/pink eyeshadow into your crease. This is going to be our transition colour. 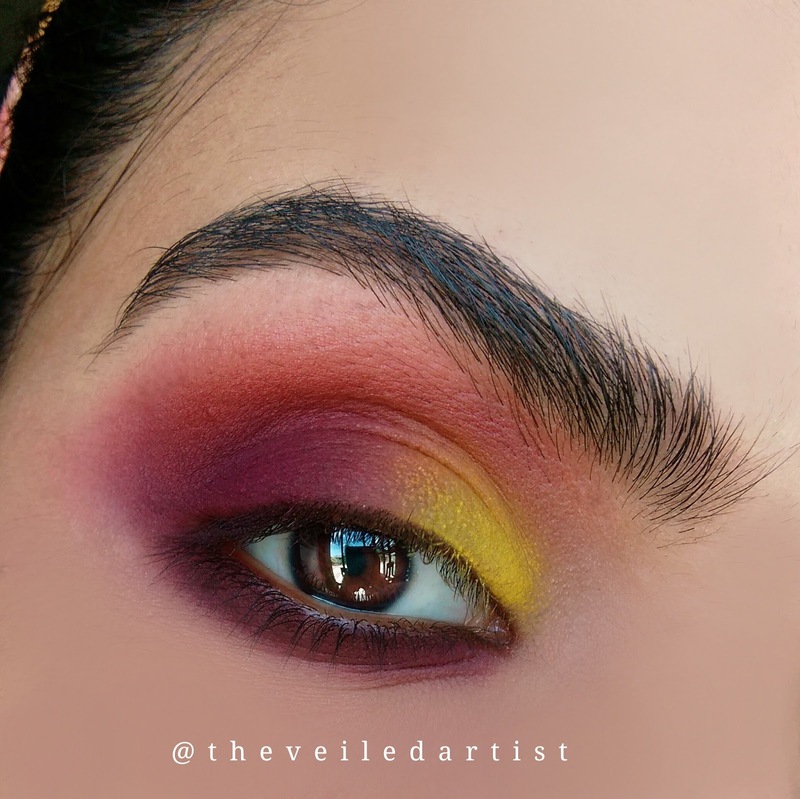 Place the burgundy eyeshadow onto the outer half of your eyelids and blend the edges out and also blend it slightly into your crease and onto the matte brown we previously applied. 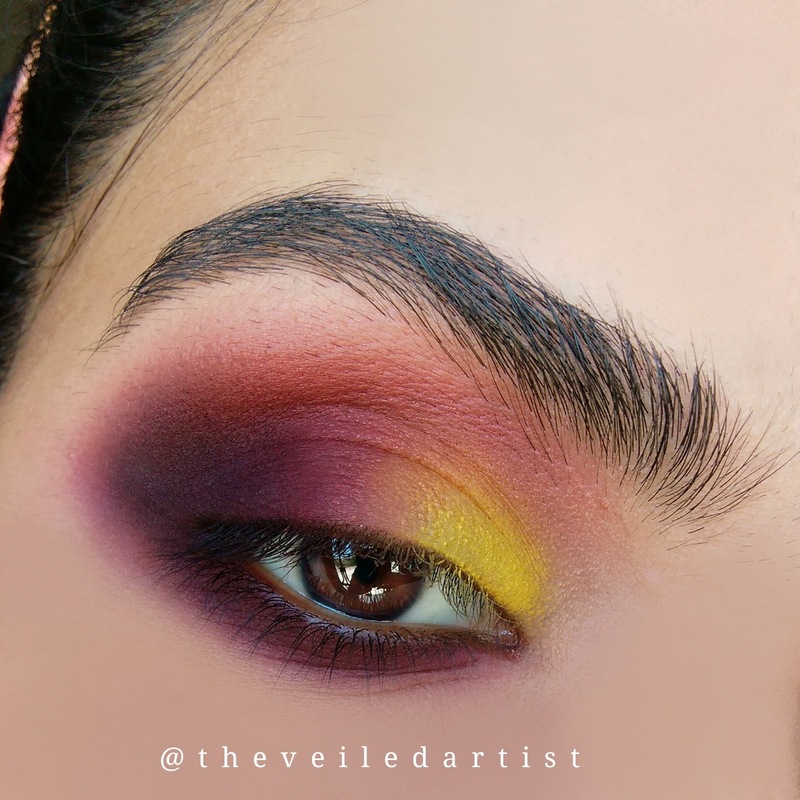 Pat the bright yellow shadow onto the inner half of your eyelids and blend it into the burgundy shadow and also blend it slightly in your crease using the same brush with the leftover shadow, just to blur out the edges. 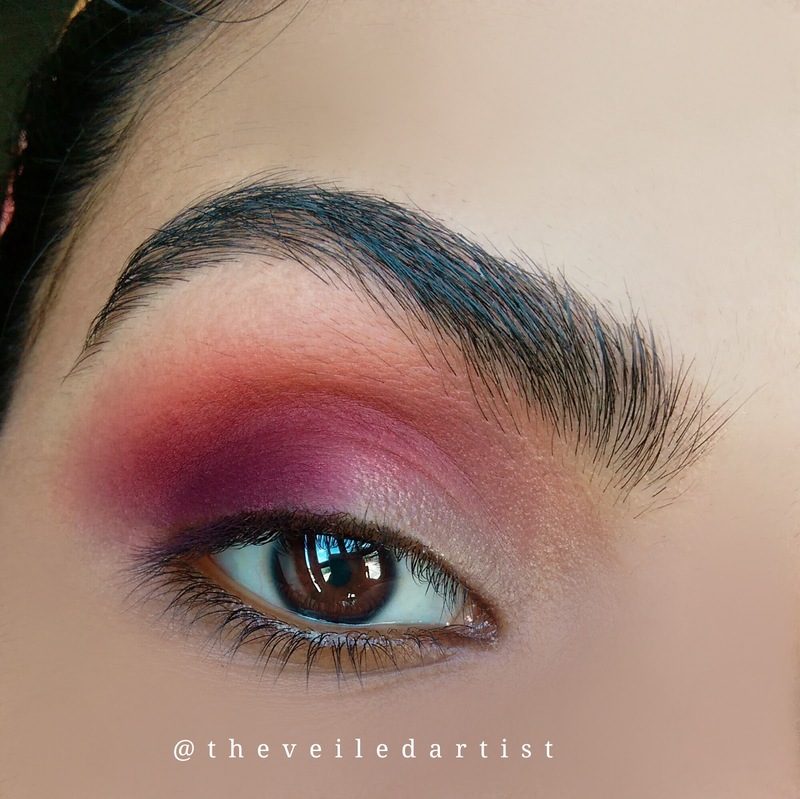 Using a pencil brush or small blending brush, blend some of the same burgundy shadow onto your entire lower lashline. 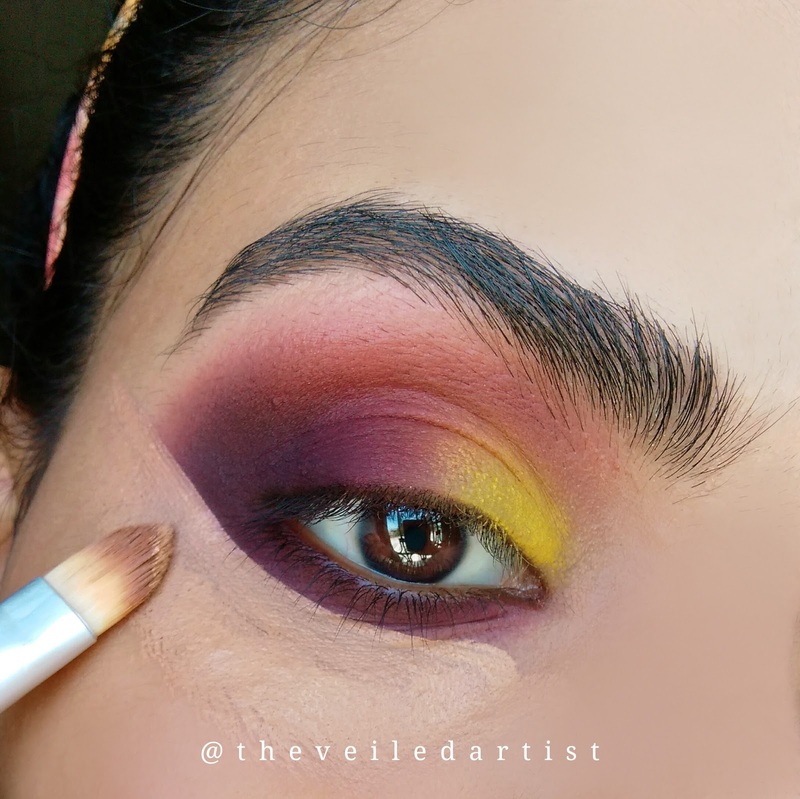 Pick up a tiny bit of some matte black shadow and blend it into the outer one thirds of your eyelids. 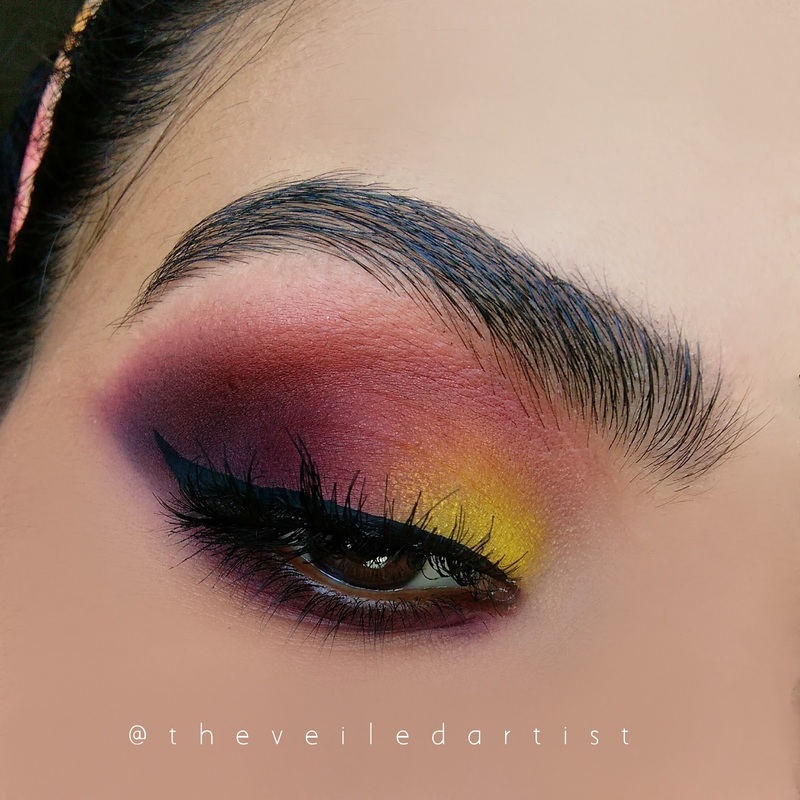 You can build up the intensity of this black eyeshadow as desired by layering it up but make sure not to apply too much pigment/shadow at once because it can be very hard to blend out and will look patchy! Clean up the eyeshadow on your lower lashline using your regular foundation and blend it out carefully as shown below. Apply your liner and mascara. I decided to add some nice fluffy falsies as well! 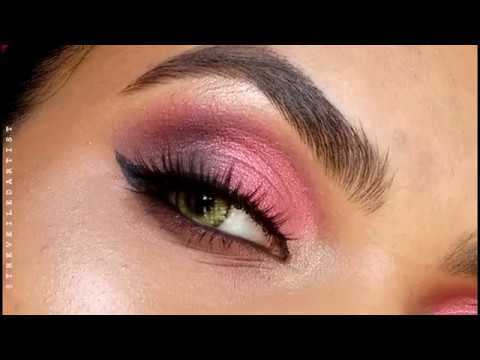 Using your finger or a small detail brush, pop some of the champagne/rose gold eyeshadow/highlighter into the inner corners of your eyes and just under your brows onto the brow bone. I LOVE how this gives this look so much more life! And you're done my loves!! Scroll down for the full pictorial and to see which products I used for this look. 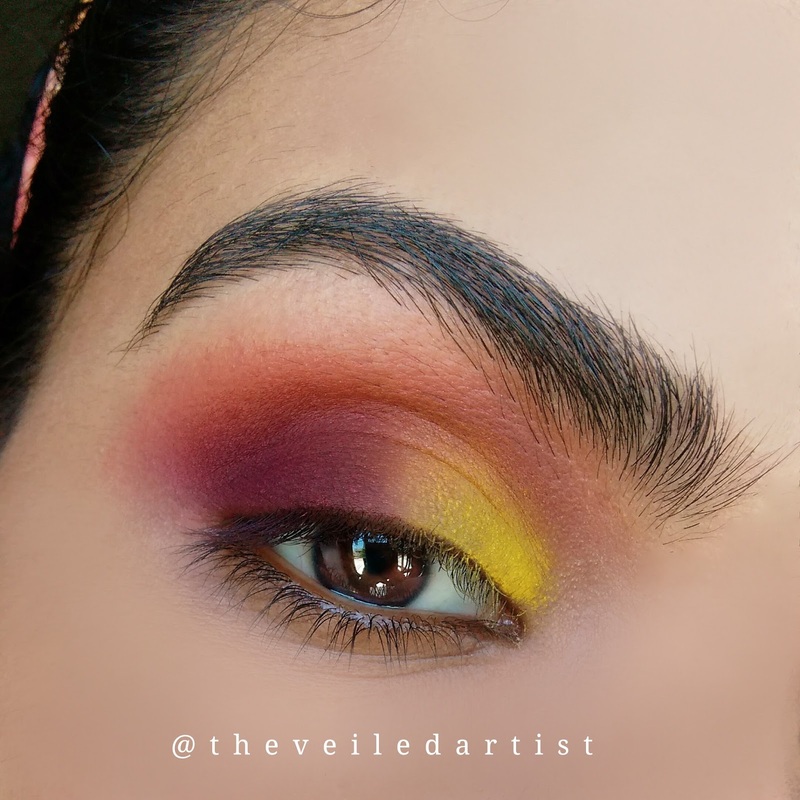 All of the shadows used were from the Morphe 35c palette(I finally got my hands on this after it went out of stock everywhere for like a year!) except the highlighter! That was the shimmer powder in rose diamond by Motives cosmetics. 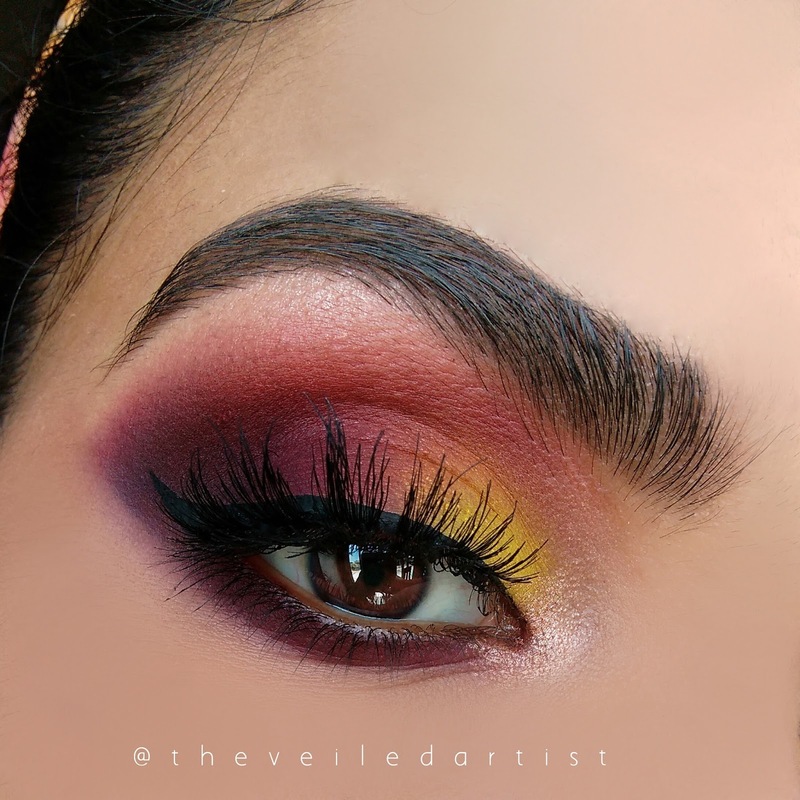 Lashes were from Glamuplashes in the style Obsession, for liner I used my all time fave essence cosmetics waterproof ink liner, mascara was Maybelline colossal volume mascara. Thank you so much for reading guys! I hope you enjoyed this post! 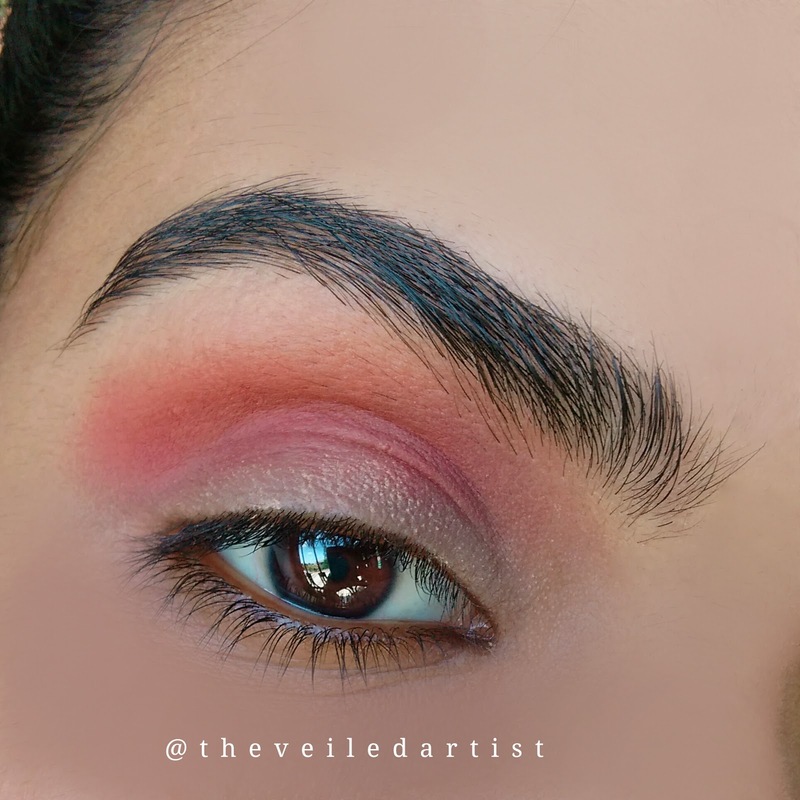 You can check my last post here, it was a tutorial on fourth of July inspired, super easy smokey eyes. Have a great day and take care!